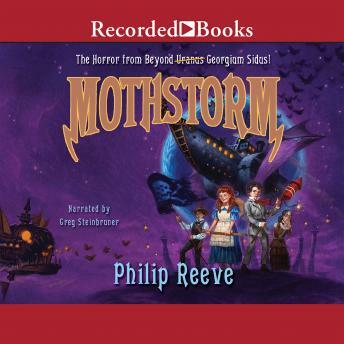 Author of the widely acclaimed Larklight books, Philip Reeve won the Gold NestlE Smarties Book Prize and was shortlisted for the Whitbread Prize Children's Book Award. At the edge of space, a mysterious cloud appears. The last transmission from a remote outpost near the cloud warns of grave danger. Now Art, Myrtle, and the rest of the family launch an investigation-and what they find is so horribly, terribly monstrous that not even a billion mothballs will keep it at bay!